Our partnership with S2 is a significant move and validation in the market and their subsequent collaboration with Amazon helps us make units more attractive to prospective residents while improving operational efficiencies for property owners. We are committed to bringing this technology to the masses, and with this news, it’s clear smart home technology is no longer reserved for luxury homes and apartments. Having worked with many providers in this space, Zego is a trailblazer in its ability to deliver on the promise of a holistic resident app experience, enabling us to provide residents what they want from their smart apartment, as well as what property managers need. The 2017 NMHC/Kingsley Apartment Renter Preferences Report surveyed 250,000 apartment residents, and nearly one-third of those polled own between five and nine internet-connected devices. Apartment communities are realizing that it pays to integrate smart devices into units. The study also found that renters are willing to pay $30 more a month for certain smart devices. Amazon has not been shy with investments in the smart home, offering Amazon Smart Home Services that allow consumers to set appointments for the installation of smart home devices, and subsequently manage them with Alexa. Services offered include smart lock, security camera, video doorbell, thermostat, and light switch installment amongst others. In October, Amazon announced a partnership with Plant Prefab. Plant Prefab is a prefabrication housing firm, and the Alexa Fund along with Obvious Ventures brought $6.7 million to their funding round. Voicebot reported in October on the smart home industry riding the consumer adoption wave, finding that there are over 20,000 smart home devices supported by Alexa. In comparison, the next biggest player in smart home devices is Google Assistant at just over 10,000 devices. Siri and Cortana barely registered, with Siri supporting fewer than 300 devices. In regards to why the developers chose to include Siri, one of the least popular voices in the smart home industry, Apple’s huge smartphone installed consumer base and reputation for high-quality consumer product design were some of the largest deciding factors according to Ken Forester, Managing Director of Trivselhus UK. Pre-installation is also a large factor. With smart home devices pre-installed in houses, consumers do not have to worry about a lack of smart home product installation, a compatible solution will already have been chosen by a builder. In addition, more than one-third of U.K. consumers use iPhones today, and Statista also claims Apple’s market share with the iOS in other consumer devices in almost 53%. What differentiates this new announcement of Alexa integration in 30,000 smart homes is Amazon’s commitment to making the smart home, or smart apartment, affordable. This allows them to really bring Alexa everywhere, just as intended, both helping to create and maintain its market share lead. 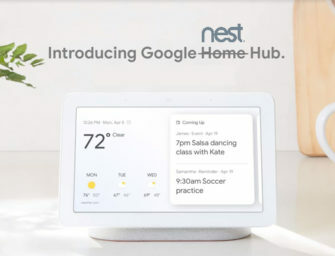 This is all to say that Cortana, Google Assistant, and smaller competitors like Hive and GeekWire have also been developing smart home management tools. Despite Alexa’s reach in smart home devices, we shouldn’t count out other companies in a developing industry. The installed smartphone bases of Google Android and Apple iOS users could be a huge deciding factor for consumers in the future.